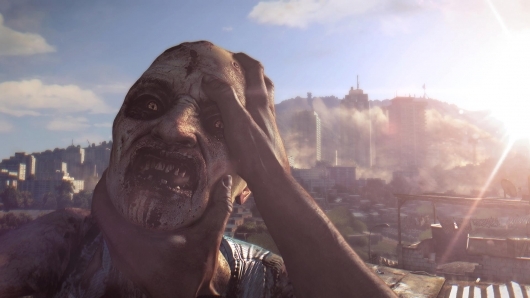 You may have seen the first gameplay demo for the upcoming Techland and WB Games title Dying Light this past summer, and now comes a new lengthy peek at the game. This new gameplay demo runs nine minutes, and again shows off the two very different sides of the game—the day time and the night. In the day time you’re still surrounded by the undead, and they can still be very dangerous to you if you get careless, but a mixture of combat options, traps, and the ability to free run around the open world from ground level to the rooftops gives you the edge in staying out of harm’s way. But when the sun fades, something changes in these beasties, and they become much more aggressive and much more deadly as they chase you to areas you didn’t think they could reach. Continue below to read more about the game and to check out the new gameplay demo. Open World Environments – Dying Light is set in a vast open world, delivering expansive and varied environments, a wide variety of enemy classes and a hopeless tale of survival where resources are scarce and the infected are not the only threat. Craft Your Weapon – Why use a wrench when you can use a wrench wrapped in electrified barbed wire? Dying Light’s sizeable crafting system enables players to create a slew of new, more potent weapons and equipment, as well as specialized ammunition. This game embodies what I hate about what we consider “zombies” today—running, climbing, mutated, and so on—and because of that I should have zero interest in playing it. And still, here I am writing about it again. Obviously that’s because plenty of folks out there don’t share my opinion on the unnecessary attempts at making zombies scarier somehow, but it’s also because the game just looks that damn good. Each gameplay trailer now I’ve watched, impressed with how awesome it looks, how much better navigating the open world appears to be (compared to Techland’s other zombie series, Dead Island), and how fun (and intense) taking out the undead seems.